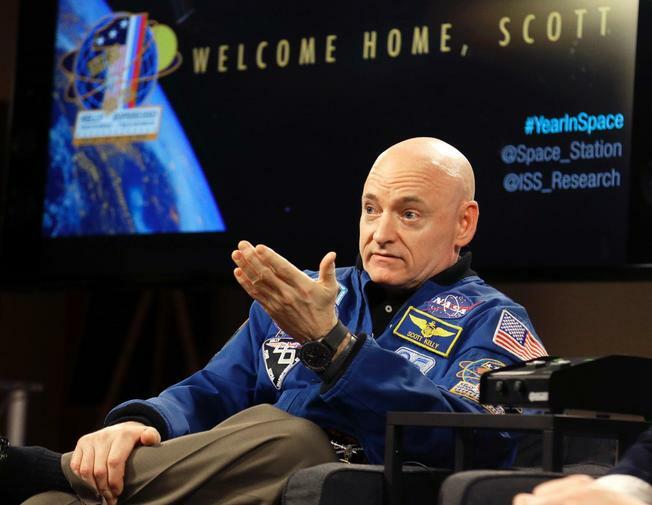 NASA Astronaut Scott Kelly, FINALLY Admits The Existence Of Aliens, After His YEAR In Space! FIRST was the image of what appears to be a large UFO above earth which was photographed on-board the International Space Station (ISS) by the Astronaut Scott Kelly who was arrived back down to earth after a year in space. This photo (please see above) of what looks like a VERY clear unknown craft, was soon dismissed by NASA as part of the ISS (they would say that) BUT NOW Scott Kelly whilst on a live TV interview recently, has very calmly admitted about existence of Aliens above earth. The intriguing thing about this incredible statement from a NASA Astronaut who spent over 340 days on-board the ISS in space, is not just what he said and the response afterwards by the people around him, it’s also the way that THIS has not hot the big news – almost as if this is dramatically being hidden away and forgotten about. This is why it is important to show the entire world what Scott said whilst live on TV. The comment that Scott made about the Aliens and the manner in which he said it, leads us guys here at U.I.P to believe that THIS is only the beginning of the drip feeding of disclosure, we are pretty sure that within time Scott will be sharing far more information about the ET’s to the world ~ just imagine the wonders that he and his crew have seen up there (like the photograph above that he originally put onto Twitter whilst in space!). The pieces of the jigsaw are starting to fit together nicely now Scott! U.I.P SUMMARY – Now then ladies and Gentlemen this is an incredible piece of Disclosure. You can see by the look on Scott’s face that he was determined to drop in the ‘Aliens’ into the conversation, and the awkward silence after confirms so much to the world – That NASA know exactly what’s going on up there! We have had many leading former Astronauts over the recent years confirm the existence of the ET’s, such as Edgar Mitchell (click HERE for more info) Buzz Aldrin, John Grunsfeld (click HERE) – there can no longer be anymore denying their here! Scott must have seen so many wonders out there in space and he does appear to be a man now whose head is now a million miles away, with OTHER things now firmly implanted in his mind. Please share this important news story.